The landscape that a community perceives and lives in is more than just the physical environment, but entails elements of culture that affect the perceived environment. There is a cosmological and spiritual element to this way of understanding one’s surroundings and it affects their practices and actions (Johnson, 2010; Toledo 2002). Ethnoecology can be defined as “an interdisciplinary approach that explores how nature is viewed by human groups through a screen of beliefs and knowledge, and how humans use their images to acquire and manage natural resources” (Toledo, 2002, p. 514). Barrera-Bassols & Toledo (2005) adapt this definition to the following: “interdisciplinary study of how nature is perceived by humans through a screen of beliefs and knowledge, and how humans, through their symbolic meanings and representations, use and/or manage landscapes and natural resources” (p. 11). “to explore the connections between corpus (the whole repertory of symbols, concepts and perceptions on nature) and praxis (the set of practical operations through which take place the material appropriation of nature) in the concrete process of production” (p. 5). 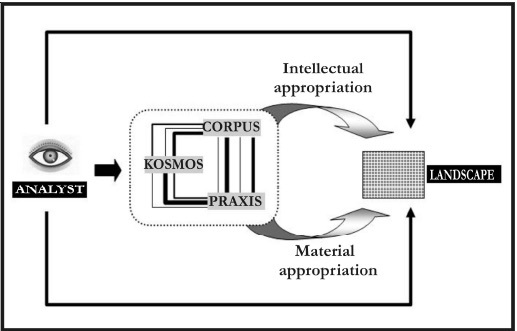 Ethnoecology then focuses on the elements of corpus (knowledge system) and praxis (practice) and how they relate to the kosmos, or the belief system of the culture being examined (Barrera-Bassols & Toledo, 2005). This k-c-p complex, or the belief-knowledge-practice complex, seeks to understand the process in which societies interact in and use the environment. The interaction between these three spheres (the k-c-p matrix) is dynamic and complex. Barrera-Bassols & Toledo (2005) note that in researching the Yucatec Maya culture and practices, these three spheres operated like ‘hinges’ as the relationships were interdependent on one another. For example: symbolic colours that had religious meanings were often used in plant nomenclature and classification; the spirit world was often associated with environmental elements such as rain, wind, caves, springs; agrarian ceremonies practiced throughout the year; sacred places on the landscape. All of these examples “illustrate reciprocal relations between the cosmological dimension, the cognitive body and the ensemble of practices” (Barrera-Bassols & Toledo, 2005, p. 28). The beliefs, knowledge, and practices (k-c-p) of a culture are interrelated and have spatio-temporal expressions that can be explored through the lens of ethnoecology. Barrera-Bassols, N. & Toledo, V.M. (2005). Ethnoecology of the Yucatec Maya: Symbolism, Knowledge and Management of Natural Resources. Journal of Latin America Geography, 4(1), 9-41. Johnson, L.M. (2010). Trail of Story, Traveller’s Path: Reflections on Ethnoecology and Landscape. Edmonton: AU Press, Athabasca University. Ruiz-Mallen, I., Dominguez, P., Calvet-Mir, L., Orta-Martinez, M., & Reyes-Garcia, V. (2011). Applied research in ethnoecology: Fieldwork experiences. Revista de Antropologia Iberoamericana, 7(1), 9-30. Toledo, V.M. (1992). 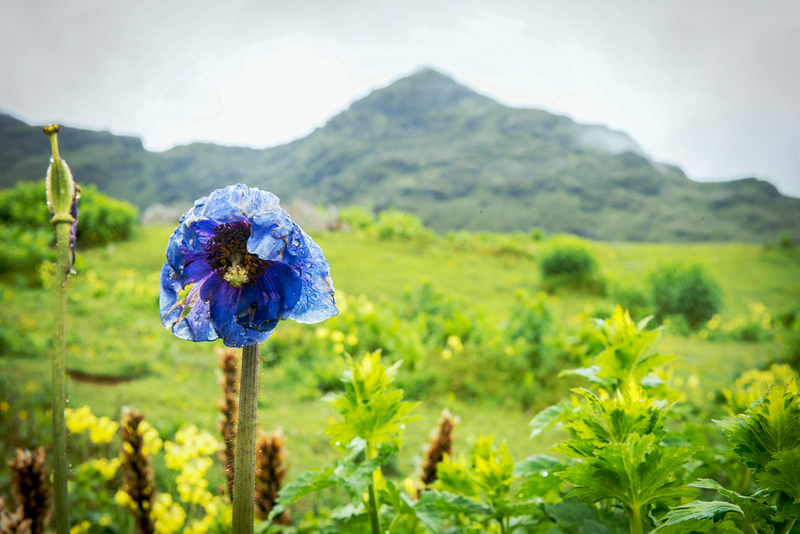 What is ethnoecology? : orignins, scope and implications of a rising discipline. Etnoecologica 1, 5-21. Toledo, V.M. (2002). Ethnoecology: a conceptual framework for the study of indigenous knowledge of nature (Pages 511-522) in J.R. Stepp, F.S. Wyndham, and R.K. Zarger (Eds.). Ethnobiology and Biocultural Diversity. International Society of Ethnobiology.